The beauty of a Magnolia Blossom adorns this hand-cast pewter tin. 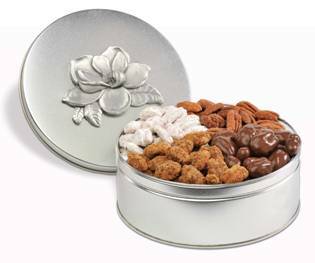 We've packed it with roasted & salted, chocolate covered, honey and praline gourmet pecans. It is truly a delightful gift from the heart of Dixie!